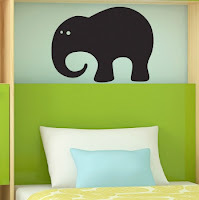 Great Baby Stuff Blog: Super Cheap Kids Room Decor: New Kids Room Decorations and Toys for the Price of Used! 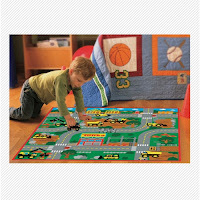 Super Cheap Kids Room Decor: New Kids Room Decorations and Toys for the Price of Used! Totsy is the cheapest place I have ever found for amazing clothes and home goods. They sell most of their clothing for less than secondhand prices, you can find many items for less than $3. 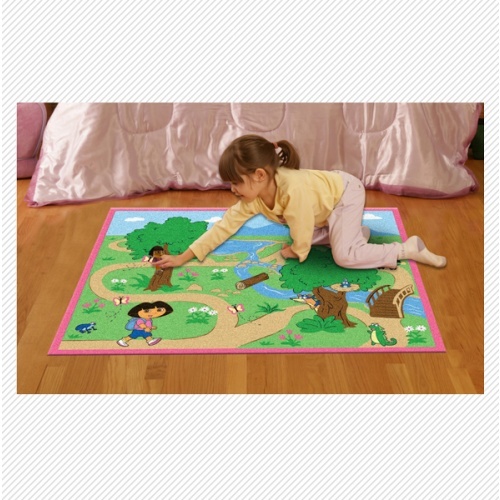 Today I am coveting some products from one of their children's room decor sales.There was also a Disney Fairies one that I would have loved to get for my daughter even more than the Dora one, but its already sold out! And you can see why..
$10 on Totsy.com Act fast before they are gone! 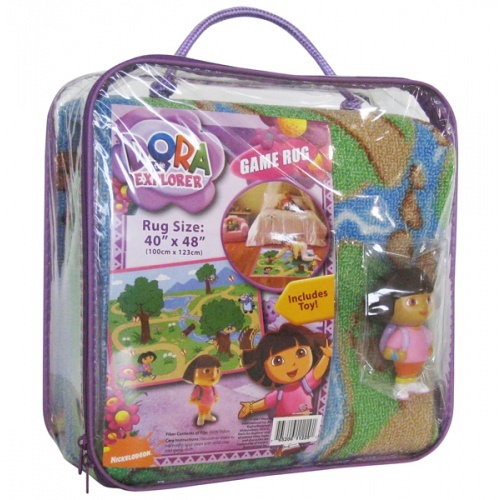 Included with the Dora rug is a carry case and a genuine Dora Explorer doll. All for only $10! 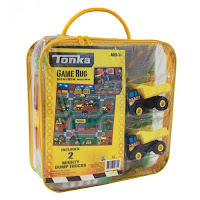 My son's birthday is in a few days and his presents are already decided on and money set aside for them, but I may just change my mind and use some of that money on this Tonka play rug and TWO mini Tonka trucks. He would be ecstatic over this and you just cannot beat the $11 price tag. 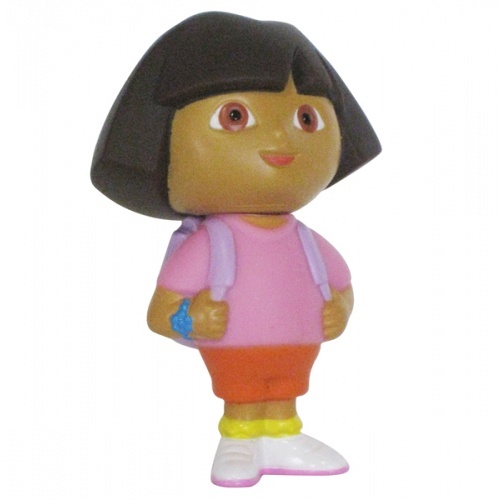 $11 on Totsy Act fast before they are sold out! Here's the carry case and trucks that come with the play rug, all for $11. 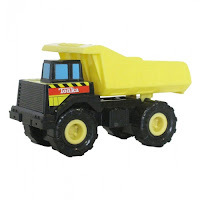 There are a ton of super cute and useful kids room items on sale at Totsy.com right now, but I just wanted to show you a couple more things that I totally love! My son loves chalk, and we recently bought him a chalk board to hopefully steer him away from coloring on my walls. 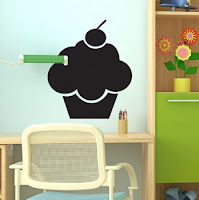 I'm so sad that I didn't see these super cheap super cute kids room chalkboards first! $9 Totsy.com Buy now before they sell out! Today is September 2, 2012. Sales of specific items on Totsy only last a few days.. But don't despair, your are guaranteed to find what you need and something you will LOVE any time you check out Totsy. These specific items may be sold out and gone by the end of the week, but there will be more awesome kids room decor sales in its place, and who knows maybe even the same items. All first time orders get free shipping (and its free shipping anyways on orders over $75 PLUS if you pick out $60 worth of stuff, you can enter VIPMOM (totsy discount coupon code)in the coupon code box and get $15, making your total $45 instead of $60. With free shipping on first time orders, you are literally getting away with a steal of a deal if you need a bundle of new clothes or the next size up for your growing kids! Check out the amazingly cheap blowout sales on Totsy today! Cute new clothes for the whole family at secondhand prices. Get all their back to school outfits in one day without leaving your house!